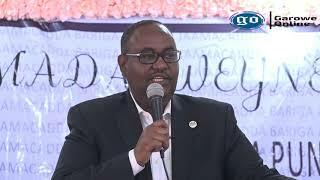 MOGADISHU, Somalia - A leading academic and staunch government critic, professor Yahya Sheikh Amir said he has escaped an assassination attempt after a bomb fitted into his vehicle exploded in Mogadishu on Saturday, Garowe Online reports. In a Facebook post, Amir said the bomb has been planted under his car's seat, but unfortunately, it killed own brother, Omar Sheikh Amir who was driving it at the time of the explosion. 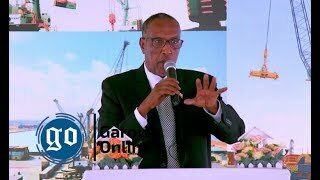 The incident which sent shockwaves through the residents took place at Dabka, a busy junction in the seaside Horn of Africa country capital. "The explosive device was attached to my car, especially under my seat. At that time, my brother was driving it and en route to taking me from where he dropped me prior to the incident," he said in a short statement posted on his Facebook handle. A huge cloud of smoke billowed over the scene and heavy gunfire was heard in the area packed with pedestrians and public vehicles ferrying people returning from work. The wreckage of the minibus destroyed by the powerful bomb was in the street. 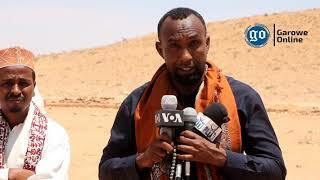 The University lecturer did not point the finger of blame at anyone or group for the masterminds of the attempted assassination on his life, but, he said there are 7 sides involved in the assassinations in Mogadishu, the Somali capital. 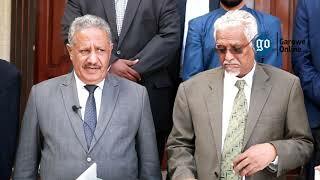 In the first 10 minutes after the blast targeting Amir's vehicle, a second blast occurred on the backside of Hotel Maka Al-Mukarama along the main road linking the airport to the heavily fortified presidential palace, known as Villa Somalia. The Al-Qaeda-allied Al Shabaab extremist group has immediately claimed credit for the twin car bombings, saying it targeted senior government officials working at the airport and soldiers manning a security checkpoint in the hectic intersection. 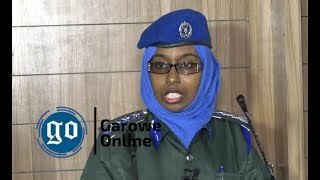 Mogadishu have seen a dramatic rise in killings for the past few days with at least ten people were shot dead in separate attacks, including Amina Hussein, a female student and a nine-year-old schoolgirl killed by army general's bodyguards. The government critics, including academics and politicians in Mogadishu, had been under increasing attacks and threats since former Villa Somalia Chief of Staff, Fahad Yasin was appointed as the deputy chief of the Intelligence agency last August. The weak Western-backed Somali Government in Mogadishu has been criticized for not taking a harder action to tacked the terrorist assaults in the country's capital, which was beset by insecurity since Al-Shabab was driven out of the city in 2011. Somalia's National Army [SNA] forces are under pressure to improve as they will assume security responsibility for defending the country once the 22,000-strong AU force leaves by the end of 2020.